The National African American Women’s Movement LLC (NAAWM) will host a solutions-focused interactive conference called “The National African-American Women’s Conversation” on Saturday, October 7, 2017 at the Atlanta Airport Marriott Hotel (4711 Best Road, Atlanta, GA 30337). It fills the gap in social advocacy which traditionally excludes Black women. Your input is required to provide knowledge, insight, accountability, and coaching. The National Conversation is designed for Black Women to unite in peace, equality, and sisterhood. It is time to do more than merely celebrate the previous accomplishments but to assess these actions and identify the next measure in the Black Women’s Liberation Movement. To make this an effective and efficient endeavor, practitioners, grass root activists and business professionals from the sectors of economics, business, finance and entrepreneurship; health, nutrition, mental wellness, and spirituality; family, community, social justice and more will be gathering at this interactive conference. Also, Black women who are college and university student leaders and firsttime movement activists have ALL been called and MUST be in attendance. In honoring the best of ourselves, the founding Black women of the NAAWM has formed a coalition of African American women to help empower one another and find solutions that will help our communities thrive and grow stronger. Our mission is to empower African-American women through education and positive imagery that will strengthen ourselves and our families. Moreover, our vision is to improve the economic and social conditions within our communities for all generations. Our method is through a series of innovative events; our aim is to facilitate a movement focused on solutions geared towards the many issues faced by the African-American experience. Too long, have others spoken for us. It is time for us to plead our own causes. The National Conversation General Session will be from 1pm to 4pm to include presenters, a conversational panel, an innovative workshop, and a strategy session. Our presenters are: Katie Gails, Dr. Hanifa Shabazz, Rev. Dr. Maisha I. K. Handy, Audrey Muhammad, Kesha Gibson-Carter, Student Minister Sharrieff Muhammad-MM#15, Marilyn D. Jackson, Thiah V. Muhammad, Danielle Langford, and Kimberly I. Thomas. Participants will engage and interact with the expectation of providing constructive critiques which also includes the current social positions of Black Women in a society that undervalues us. 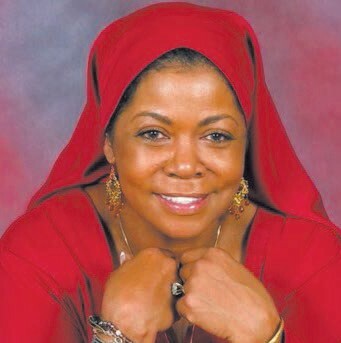 Following the general session, the “Be Your Most Beautiful” buffet dinner will start at 7pm and our featured Keynote Speaker will be Dr. Ava Muhammad National Spokesperson for the Honorable Minister Louis Farrakhan and the NOI. A gifted Student Minister, Attorney, Researcher and Author of the powerful and popular book ‘Real Love’ and many more. There will be an opportunity for Dr. Ava to sign your books. There will be a special tribute for the late Mrs. Martha Rivera Chavis, wife of civil rights leader and National Newspaper Publishers Association President and CEO Dr. Benjamin F. Chavis, Jr. If you are Black and a Women in America, make your plans now. Bring your grandmothers, mothers, sisters, daughters, aunts, nieces, cousins, neighbors and friends. Follow us on Social Media for the latest updates & news: Facebook: National African American Women’s Movement, Twitter: @NAAWomensMvmnt, and Instagram: naawomensmvmnt.